C/ Peninsula S/N Urb. Son Xoriguer, 7769 Ciutadella De Menorca, Spanje. 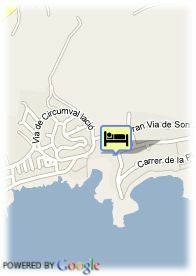 This group of apartments located in Cala´n Bosch, it offers one of the most spectacular views of Menorca. Grupotel Aldea Cala´n Bosch is the best option for a family holiday thanks to the comfort of its apartments. 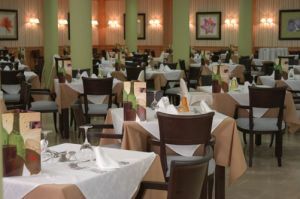 The hotel offers to its clients modern facilities that have been totally refurnished. The well kept garden area sorround this small menorca style's villa with direct access to the beach. The apartments offer a living room with kitchen, a double room and a full bathroom. they are shared between a few 2 floors small buildings, some of them sorrounded by a wonderful garden. Some of them have sea view from the terrace and a breathtaking view over Artrutx's lighthouse.